NAPE Summit, the largest upstream international exploration and production (E&P) expo in the U.S., announced today that former secretary of state and retired four-star General Colin Powell will keynote the 2017 NAPE Summit Charities Luncheon on Feb. 16, 2017. 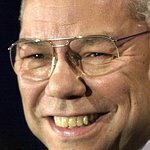 Powell has devoted his life to public service for more than 50 years, serving as the 65th secretary of state under President George W. Bush from 2001-2005; chairman of the Joint Chiefs of Staff for Presidents George H.W. 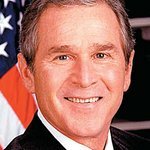 Bush and Bill Clinton from 1989-1993; and national security advisor for President Ronald Reagan from 1987-1989. Powell currently chairs the board of visitors of the Colin Powell School for Civic and Global Leadership at the City College of New York. The NAPE Charities Luncheon has raised more than $3 million for charities supporting U.S. veterans since 2009. The NAPE Charity Fund will bestow $50,000 each to Canine Companions for Independence, Operation Homefront and Support a Soldier. Past speakers of the NAPE Charities Luncheon include former first lady Laura Bush, former Secretary of Defense Robert Gates and former New York City Mayor Rudy Giuliani. NAPE Summit 2017 will take place Feb. 13-17, 2017 at the George R. Brown Convention Center in Houston. As part of “NAPE Week 2017,” NAPE Summit will also feature the day-long Global Business Conference; two educational seminars presented by AIPN and the IPAA; domestic and international NAPE Prospect Theaters running two days of prospect preview and capital and service provider presentations; and a two-day Expo on nearly 15 acres of exhibition space. NAPE is the oil and gas industry’s marketplace for the buying, selling and trading of prospects and producing properties. At three expos throughout the year, NAPE creates an environment where attendees can have an expectation of doing business, bringing together all the necessary parties to evaluate, fund and make deals. NAPE Week 2017 is expected to draw 10,000 E&P dealmakers from more than 35 countries. Registration is now open for NAPE Summit 2017. Those interested in attending or exhibiting at NAPE Summit can find more information and register at www.napeexpo.com. Attendees who register by December 30, 2016, will receive priority pricing.